“Flight No Jet (9W 373) Delhi to Mumbai is delayed by 2 hours due to Foggy weather”...the announcement struck in the ears like as if it was an earthquake alert. 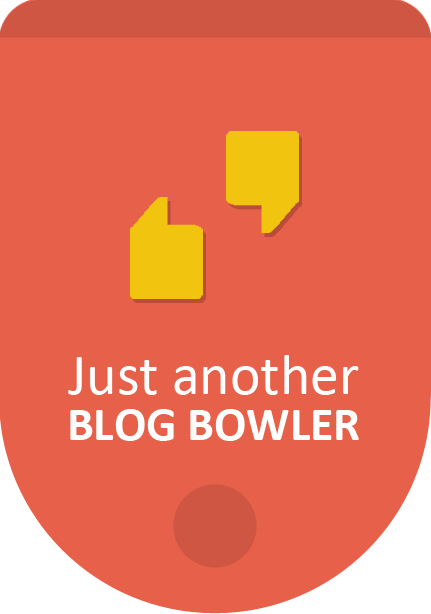 People were all disheartened and so was me. Spending two hours was a pain in the neck. Anyways went ahead in the airport lounge with a cup of coffee. After completing some pending work on laptop still was left with 60 minutes more. Was feeling too tired and honestly very bored. Suddenly heard some music and someone singing the famous song Dum Maro Dum…..Just went ahead to check what was exactly happening and my eyes could not believe that she was none other than “Anushka Manchanda”- an Indian singer, model, an ex-Channel [V] –VJ…Wow she is real hot…..and her voice is terrific…. Came to know that she was also a passenger of that same flight and on request of everyone she started singing. After dum maro dum, there was her next number “Alla Duhai Hai” and the list continued. The atmosphere in the lounge was complete change. Filled with vibrant music and energy. Then there was a sweet little voice full of happiness “Wow Allu Arjun the great actor and the dancer”. Seeing the enthusiasm and the energy in people Allu Arjun started dancing. The jugalbandi between Anushka Manchanda singing and Allu Arjun dancing was amazing. He really have a very nice personality and defiantly is a good dancer. I found myself so fresh in this environment. One has rightly said that music gives you some positive vibes. And to add icing on the cake was dancing. The sensational moves of Allu Arjun’s was so inspiring that many youngsters started dancing with him. I too joined the gang. Suddenly all of us in the lounge realized that we were actually waiting for the flight. 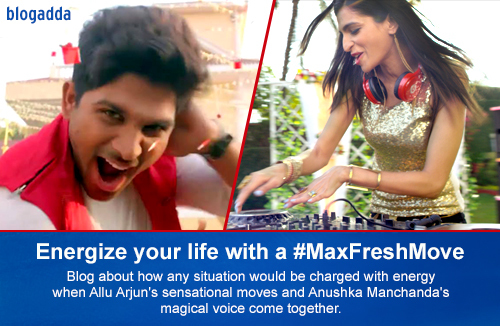 Everyone thanked Anushka Manchanda and Allu Arjun for a live concert and a wonderful memory. 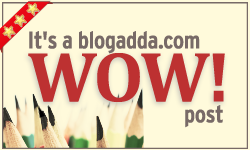 “I am blogging for #MaxFreshMove activity atBlogAdda.com.